MUFF WIGGLER :: View topic - Digital Mellotron, what's the point? Digital Mellotron, what's the point? Maybe some get tired of adapters? I own this app for its control surface. In my opinion the Mellotron M4000D's and Micro are "the most convenient + best sounding" mellotron type devices. I would love to have a rack or desktop version. But I wonder if I would really use it a lot... how would it fit in my sound considering it is a direct reference to so many stuff from the past as soon as you hear it.... anyway I would give it a try for sure. The real mellotron is a nice studio instrument for a skilled keyboardist. That WaveTrigger is a great board for making a desktop version. And it is cheap at $50. The newest version, the Tsunami is better at $80 and has 8 outs (the WaveTrigger is stereo) that can be configures as stereo pairs or mono or surround, what ever. CD quality playback, 32 tracks at once. 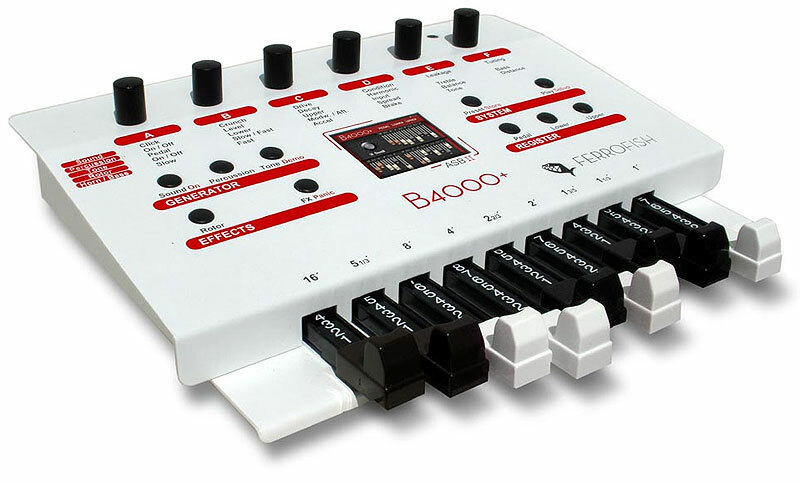 Built in MIDI (all you add is the connector) with velocity sense. Easily built into a small box with minimal DIY skills (just soldering up wires or headers). Oh, and of course you can change it into playing any other samples you want, including full loops of songs, whatever you can fir on the microSD card. "Tsunami offers low latency. Tracks typically start within 8 mSec of a trigger event." Do they mean 8 µS? Back in the early 90 better drum modules where under 2mS with clonky 680x running in the 20 mHz region. I thought Fripp was using the Mellotronics M3000 app - but maybe that was after he used ThumbJam, which is has some good samples by iPad standards. I wonder if the reason he didn't get a digital Mellotron was lack of room on stage, as he already had the huge rack of effects units. As I said in my original post, maybe he thinks like me, what's the point? The app is as good as any other digital recreation, so why bother with another unnecessary and expensive box. I don't know what's the point wrt Fripp. I don't follow his blog(s) or whatever that closely. As prolific as he can be as a writer, he doesn't write down every single thought about his gear buying decisions. If you manage to corner him and extract the info you desire, be sure to update us here. JohnLRice and whoever seem to be very happy with their digital Mellotrons. The reasons they gave make sense to me, but I understand why somebody might want to argue. My friend's M4000 was the first digital Mellotron I heard in person. I was blown away by how much better it sounded than a software player, but as we all know, tastes are subjective. It is mSec because unlike all the old drum machines you mention, these boards are reading right off the microSD card and not from internal memory or ROM. The advantage of this is that they have no limit on sample size other than what can fit on the card. Actually they *might* be limited to 4GB samples because of the file format of the cards, but that is one hell of a long sample. This latency is not much worse than all other wave players that read directly off the card or stick because of the same reasons. These particular units are really not designed to be drum machines, mainly longer sound and loop players. The latency will vary based on how many files are on the card and how long the device takes to find them to play them. As a point of reference - Sound travels at a speed of approximately 1130 feet per second. In milliseconds that is 1.13 feet per millisecond (a millisecond is 0.001 seconds). so the members of a band 10ft apart (like typically the bass player and the guitarist) on stage, can easily have almost 9ms of delay hearing each other. Add on top of this the distance to the listener in the audience. ...The latency will vary based on how many files are on the card and how long the device takes to find them to play them. If optimized for instrument use couldn't this part be rewritten to use preloaded data buffers? Have you any experiance with the loop function? Can it be used as a steady wavetable generator without glitches when looping? That WaveTrigger is a great board for making a desktop version. ...but I always get surprised when people propose DIY stuff. I can't make any of this. 8msec is enormous latency, I have 3ms on my old PC! I would never buy such hardware. Granted if it is for pad sounds it is less of a problem but stilll. It has no data buffers to preload as far as I know. 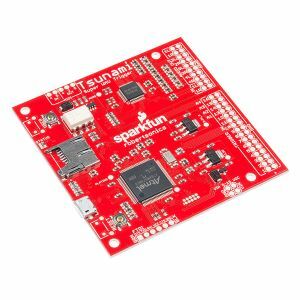 Maybe the Tsunami does as it uses a ARM Cortex m7, which might have internal buffers, but the WaveTrigger uses an ARM Cortex m4. I mainly use the loop function and play tonal scapes and such. mainly larger loops than waveform loops. I hear no glitches or gaps the loops but it may be different with very very short wavetable like loops. Works fine for me. I just don't get into the latency thing as much as some people do I guess. Like I said above about live bands, the latency between players in a live band, with distance and reaction times, is WAY more than this will ever be. I guess if I quantized everything and wanted to make machine music (which I think is no problem or a diss of any sort), it would be a problem, but the stuff I do relies less on that level of precision. Also in the area of this discussion, the tape Mellotron had a certain latency of its own in that the tapes had to be physically pressed against the capstan and the heads to be heard. The key had to travel almost the full distance before this happened. That was some latency too. Thanks James. I probably end up buying one. Always wanted to make a super simple chord machine to simulate multiple tape machines/tracks to sequence recorded chords. This device seems perfect for uses like this. * Why does JLR own both the Mellotron M4000D Rack AND the Mellotron Mini? BOTH?!?!?! Send one to me!! I want that Mini so bad!! because he is full of himself? ta da! Like I said above about live bands, the latency between players in a live band, with distance and reaction times, is WAY more than this will ever be. That is a wise choice. If I was in the market I would be all over this one. * Why does JLR own both the Mellotron M4000D Rack AND the Mellotron Micro? I'm sure you will be pleased with it! I was an early adopter of the Micro so there were a couple of issues but Markus recently sent me a software update (that has been out since last year) and it resolved the issues. I have one remaining issue with the DC power plug not making solid contact so if bumped it disconnects (I'll fix myself soon). I'm pretty sure I would have just purchased the Micro if it had been out when I bought the Rack (to save $600 to $700!) but the Rack does have additional features like better I/O (same as the full sized original keyboard version) and ability to use voice cards like the Mini and full sized. Originally my Rack version was intended to be used for studio and live but the case it's in with other MIDI gear is just too heavy to be moved (by myself) so my plans for what I'll use live and become more modest and realistic and getting the Micro in addition to the rack allows me to have a permanent studio setup as well as a portable setup. I recall when you purchased the M4000D Rack and posted videos, did not know you added a Mini. You obviously are well informed on the Mellotron offerings. In your opinion, why the $800 difference between the M4000D and the Mini? the point is that the old mellotrons were badly made. i played two and both were unworkable. prob too light on the psu. and since the originals were a hit, they never developed 'm any further. king crimson toured with three although they only needed two. but one was always off. the tuning is very unstable. and it's noisy. a good digital one could solve all that. i have a bunch of plugins that do a good job. esp in the context of a complete track. and that's the only thing i care for, really. I just realized I incorrectly posted that I have the Mini, I don't, I have the Micro (in addition to the Rack version). I'll correct my older posts. In general I think all the digital Mellotron offerings are overpriced and I'm assuming for the same reason Moog modular reissues are overpriced (IMHO) in comparison to third party clone makers, they have rights to THE brand name. I think more realistic pricing would be $2000 for the flagship M4000D, $1500 for the Mini, $1000 for the Rack, $800 for the Micro and then $250 for the expansion cards but, I'm not a smart businessman and often ponder how doughnut shops can survive! The Mini is what my friend has. I'm sure the weight savings by not having the wooden key assembling was as much of a factor for her, as well the monetary savings. I think more realistic pricing would be $2000 for the flagship M4000D, $1500 for the Mini, $1000 for the Rack, $800 for the Micro and then $250 for the expansion cards but, I'm not a smart businessman and often ponder how doughnut shops can survive! The cards are a no brainer for me. Had they been near $250 I'd probably have picked them up (even though they sound as if the content is very mixed in usefulness) - and been interested in future ones. But at $400 plus? No thanks. Stand by the M4000D though, worth every penny. So what sounds come with the Mini as standard?